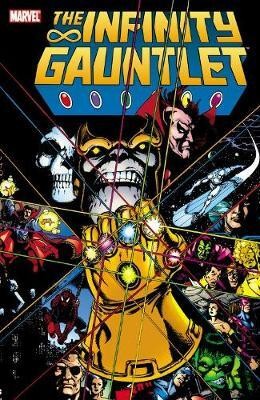 For the dark Titan Thanos, the Infinity Gauntlet was the Holy Grail, the ultimate prize to be coveted above all else. With it came omnipotence: the absolute control of all aspects of time, space, power, reality, the mind, and the soul. The gaining of supreme might mean the beginning of a black nightmare for the entire universe. Now, on the edge of Armageddon and led by the mysterious Adam Warlock, Earth's super heroes join in a desperate attempt to thwart this nihilistic god's insane plunge into galactic self-destruction.